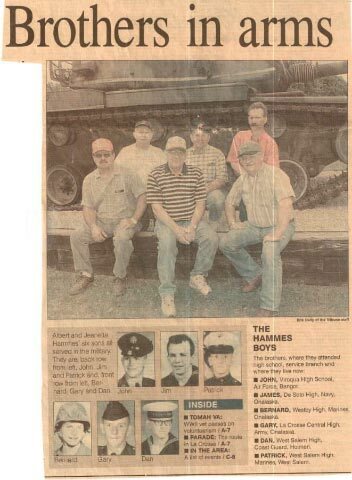 Click here for the article describing the six Hammes brothers military service. Click here for the photographs of the six Hammes brothers. Click here for a poem written by their mother.